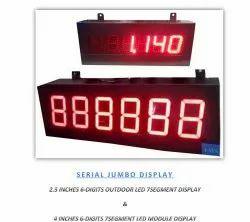 Prominent & Leading Manufacturer from Chennai, we offer 4-20 milli amps load indicator, peak load indiacator, load vs displacement indicator, serial jumbo display indicator and lea count board. Interface :To PC via RS232 Serial port. Load Setting for Maximum and Minimum Load. Units Swapping :Incase you calibrate in Kg, if you wish to view in Kn or n you can instantly view. Auto Calibration :Now, press only few keys to calibrate. We have made it very simple. 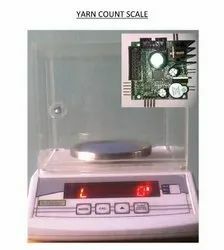 Our company is a reputed Manufacturer, Exporter and Supplier of premium grade Digital Load Indicator. 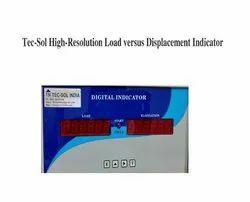 Digital Load Indicator is used for measuring various parameters like load, pressure, displacement, torque, angle, flow, temperature, humidity etc. The Digital Load Indicator is an efficient, durable and cost effective machine. The Digital Load Indicator is also capable for peak load indication. Supports Multiple Rs232 Data String. Configurable Baud Rate & Ascii Data String. Supports Continuous Data Mode & Request Mode. 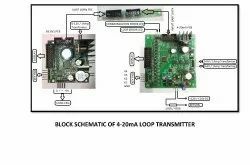 Optically Isolated Rs232 For Reliable Communication. Suitable For Weigh-bridge & Industrial Weighing Applications.